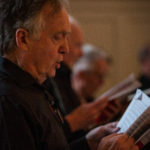 Welcome to the Archive area of the Royal Free Music Society where we keep the midi files we have created and other resources which may be useful to other choirs. Please note that this archive is no longer actively maintained so you may find some files don’t work any more – sadly we can’t fix this but hope that you will still find some useful midis here. Large works are denoted by italics.